"Creed" director Ryan Coogler and his Blackout for Human Rights activist collective announced a benefit fundraiser today (February 23), #JUSTICEFORFLINT, to raise funds and awareness for those suffering from the water crisis. Hannibal Buress has signed on to host and other Hollywood luminaries, including Ava DuVernay and Jessie Williams will be a part of the event, in addition to Janelle Monae, Ledisi, Andra Day, Vic Mensa, Jazmine Sullivan, Musiq Soulchild, Robert Glasper, Jesse Williams, Jussie Smollett, Jasiri X, Vic Mensa, and Detroit natives Dej Loaf, Royce da 5'9" and Denaun Porter, Flint native Jon Connor, Pastor Patrick Sanders of the New Jerusalem Full Gospel Baptist Church in Flint and more. 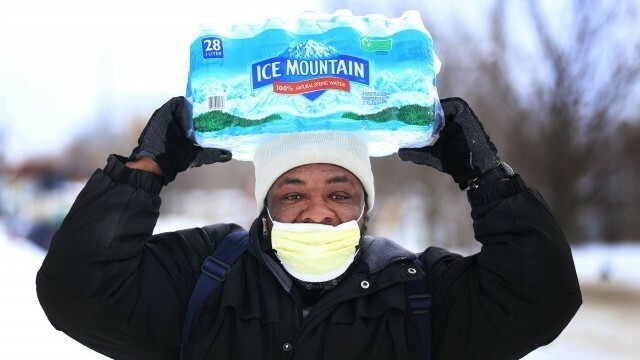 Flint, Michigan has been in the headlines ever since a lead water issue arouse, which stemmed from state government decisions to stop using water from Detroit and instead operate from a local supply, which was contaminated with poisonous chemicals. Damming evidence was made public that confirmed officials knew of the dangers should they stand by their decisions. REVOLT Chairman Sean Combs, Eminem, Wiz Khalifa and Mark Wahlberg have been among the many who have donated supplies to help families. Ava DuVernay On #JUSTICEFORFLINT: "I Think Its Environmental Racism"